“What do I do now?”, Octavio asked after we finished opening and rinsing cans of chickpeas for the Chana Masala we were making. “Well,” I said, “Do you want to help me recycle these cans?” Octavio had never recycled cans before, so I showed him how to rinse them out and safely place them with their lids in the recycling bin. This is my favorite thing about Kids Supper Club: how involved the kids are with the entire cooking process. This includes chopping, grating, measuring, stirring, washing the dishes, and even recycling cans. 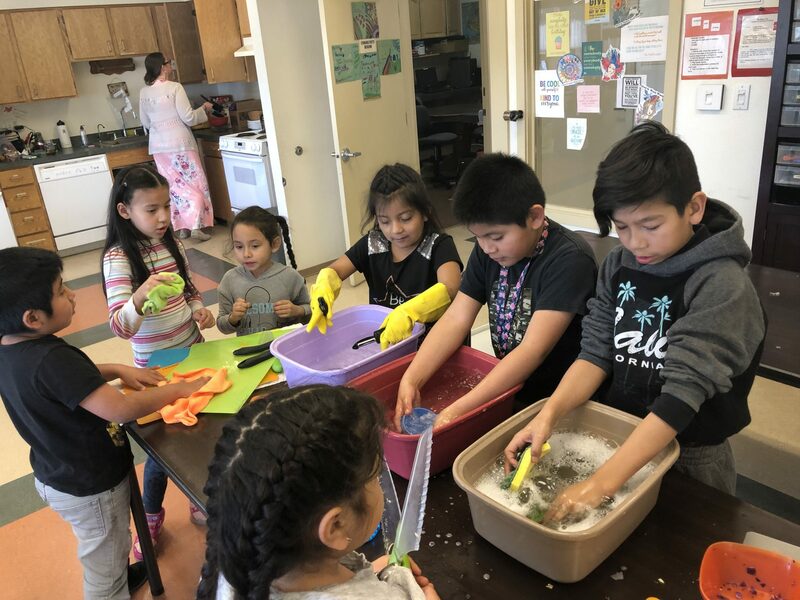 Compared to regular school cooking classes, we have a much smaller group of kids and a longer amount of time, which has allowed for a lot more hands-on learning (and is a blast!). 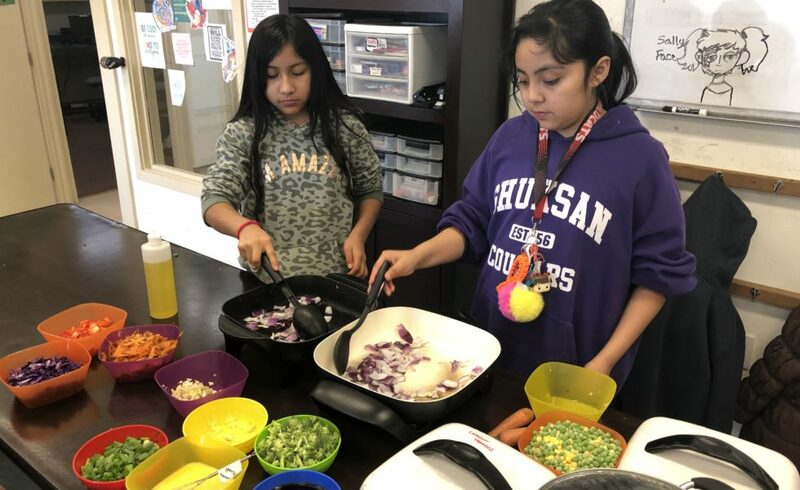 Common Threads started running Kids Supper Clubs at low-income apartment complexes in the spring of 2018. The idea was to offer some additional support to kids who often have little to do and little to eat during their after school hours. Our partners so far have been Regency Park Apartments and Sterling Meadows. The atmosphere of Supper Club is relaxed and fun. We spend about an hour and a half with 12 elementary school-aged kids cooking together and chatting about their day. By Thursday afternoon, the kids have been in school almost a whole week and don’t want to be sitting and listening to yet another lecture, so the best way to get kids excited about cooking is to just let them cook. After a quick introduction to the recipe and ingredients, the kids jump right in to cooking! Cooking has been taking us Around the World, as we focus on a different country each week. The first 4-week session took us to India, Italy, France and China. The last week included a family celebration. Parents were invited to come and eat the veggie fried rice their kids had prepared earlier that day. A few of the parents took extras home, along with the recipe. Simply put, kids in the Kids Supper Club have something fun and engaging to do once a week after school. But this simple activity empowers kids to make and try new and different recipes as well as cook on their own. By the end of the first session the kids were (almost) experts at cooking. We can’t wait to see what these future chefs will cook next.